Borivali is a prominent commercial centre and a strategic location. Borivali is a home of many small, medium and commercial offices. The digital marketing agencies in Borivali help these businesses to reach their target audiences across India and overseas. Borivali is a prominent and vital suburban locality of the Mumbai. Apart from plush residential premises, there are also many small, medium and large size business houses. Due to the evergrowing number of businesses and competition, there is a need for a full-time digital marketer or the services of digital marketing agencies in Borivali. To know more about the history and growth of Borivali east & west, please refer the Wikipedia article. Companies are now more aware of the digitalization of their business processes and are quick in adapting to the new technologies and ideas. Today customers visit search engines through their mobiles or desktop. Along with the search engines, social media is also a popular place to find products and services. Due to the growth of the internet and smartphones in India, it has become easier to market your products/services to any corner of the world. In this blog post, we shall share some digital marketing (SEO) and social media marketing tips to promote your goods & services. We shall be discussing in this blog post the services and features from the Google. The intent is to make the digital marketing agencies in Borivali to make aware and use these vital services as apart of long-term SEO strategy. Google is the most preferred search engine by searchers for any information, product, services or places. The digital marketing agencies in Borivali must have a strong client presence in the Google search engine result pages. There are various options for the digital marketing agencies to reach the target audiences such as a website, knowledge panel, Google My Business, PPC advertising and much more. As per the report published in The Business Standard on June 23, 2018, the search engine giant Google is planning to enter global e-commerce debut from India market. If the reports are believed to be true it will be a major game changer in the e-commerce sector. With this intent as per the report, Tez, a payment app under the Google umbrella, was launched with the idea of populating the seller database as per the official blog post from Google by Caesar Sengupta -VP, Next Billion Users Team Published on Sep 18, 2017. The search engine is taking its own time to study the market situations in India and accordingly strategically enter the market. The digital marketers need to keep a watch on this development. This will help them to restructure their digital marketing strategy. For companies and business establishments in Borivali along with other payment solutions, Tez from Google is another alternative. Why Google Pay? (formerly Tez) and it’s digital marketing advantages! The answer is simple. Tez comes straight from the search engine giant Google. They will ensure the product is having all the best of features, reliability and security. For converting qualified leads from the search queries to facilitate making purchase and payments, the payment app or mobile wallets are the preferred option. Many small and medium-sized businesses tend to ask, Why their business need digital marketing? Why should we hire a digital marketing agency? As per the Google India Blog post, Tez (now Google Pay) has 22 million users in India. With 750 million transactions worth US$30B i.e. approximately 200 thousand crore rupees. From 20th August 2018 starting Tez is renamed as Google Pay as per Caesar Sengupta GM, Payments and Next Billion Users Initiative. The major highlight of Google Pay is it’s built on BHIM UPI. It allows users to send money to anyone, even if the recipient is on another payments app. Google Pay will certainly boost and encourage digital payments. The digital marketers must make appropriate changes to include it as an alternate payment option. The answer is simple. Compared to 10 years before the internet, smartphones and new technologies such as mobile apps were not so popular. There has been digitalization of all business process and the initiatives taken by the Government of India for Digital India. The intent is very simple to save time, cost and speed up business transactions. Today with search engines such as Google or Bing you can easily search for a product or services nearby your local area or any part of the world easily. Secondly, digital marketing is a vast subject. You require prior knowledge and understanding of the various tools. The company and digital marketers need to regularly update with new guidelines from search engines and technology. The first option is to learn digital marketing yourself, it will require a significant amount of time investment. Second, hire a full time experienced employee. Third, hire the services of digital marketing agencies in Borivali. It is entirely as per your business requirements the option you select. But it is important to have a digital marketing plan or strategy for your business. For complying with the above guidelines please refer to the detailed article released by Google Developers. Google has stated in their blog post, Web Fundamentals and Web Starter Kit: Resources for Modern Web Development a detailed website development guide. The blog post in detail lists the best practices requirement for making a user-friendly website. With this intent, Google has published Web Fundamentals and Web Starter Kit – to build multi-device experiences with the Beta release of the Web Starter Kit (currently not supported by Google). What is Google Fundamentals? How it affects digital marketing? Google’s opinionated reference for building amazing web experiences. Companies can delegate their digital marketing team with the task of following the above guidelines. Companies those don’t have a dedicated internet marketing team must take the advice of an SEO company in Borivali. Social media has grown tremendously in the last 5 years. The major players in India are Facebook, Twitter, Whats App, Pinterest, Instagram, LinkedIn and YouTube. The digital marketing agencies in Borivali must ensure the clients have a social media presence in all the major platforms and the account is updated. With the social media, companies can now share important news, announcements, new product & services launch and customer engagement. The main benefit of the social media presence is that the client or existing customers can upload a review of your products and services. These reviews get viral and can help prospective customers to make a purchasing decision. It also gives an opportunity for the digital marketing company in Borivali to handle the negative feedbacks and improve them. The social media account must be regularly updated with media (images and videos), blog post and company profile information. Videos are an effective media to convey your messages to your audiences. As compared to reading post many customers enjoy watching videos. Today, it is not expensive to make engaging videos. Your digital marketing team must be aware of all the free and paid video marketing tools. Video marketing strategy is going to stay for a long time. The digital marketing agencies in Borivali have special knowledge and expertise in creating an engaging video. The ultimate goal of any digital marketing planning is to increase the sales of client product and services. The SEO company in Borivali will suggest and implement all the latest digital marketing tools and SEO strategy. As said above to facilitate and make easy the payment process in the sales funnel. Google has introduced Payment Request API. What are Payment Request API? For example, you want to purchase a T-shirt and after searching google you have landed on the company website of a clothing brand. After checking all the types of T-shirt you have decided to make a purchase. For completing the payment transaction at the checkup point, you are asked to fill a big form with full of your details. With the desktop due to the big screen size, it is not that difficult but often painful to fill out all the detailed information. In mobile devices due to small screen sized it is even difficult. To overcome this problem and speed up the payment process Google has introduced payment request API. How Payment Request AP works? Simply your browser is acting as an intermediary and the basic information filling process is automated by the browser before the final payment approval. All the important information is stored in your browser. The purchaser just needs to confirm and make the payment. It is a cross-browser standard which reduces the traditional payment checkout process. It allows the businesses to request and accept payment with a single API call. With this, it will be less frustrating for the buyer to fill out all the data and make the payment process faster. Companies must ask the digital marketing agencies in Borivali to assist you in setting up the purchase payment API. Social media channels will no longer be a tool to share images, videos, send and receive messages. The social media is geared up for some important commercial transactions. Now with the popular social media sharing app Whats app you can make online purchases and make payments. The digital marketing companies in Borivali must change their SEO strategy to this update. This will push up the brand advertisement and open up marketing opportunities. As per the report published in the Financial Express, nearly one million people are “testing” WhatsApp payments service in India, which is the largest base for the Facebook-owned company that has over 1.5 billion users globally. As per the WhatsApp, the spokesperson told PTI. The digital marketing agencies in Borivali must start preparing for the marketing strategy to market their client product or services. 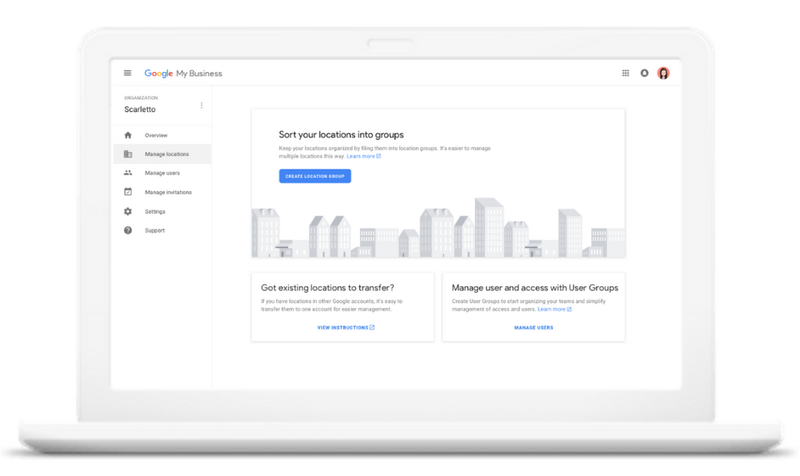 As per the new development of Google for its partners now the digital marketing agencies in Borivali can easily manage thousands of locations with the Google My Business Agency Dashboard. As per the Google blog post was written on June 05, 2018 by Aditya Tendulkar, Product Manager, Google My Business. New agency dashboard was launched. The new dashboard lets agencies manage multiple listings faster, simpler and more intuitively. SEO companies in Borivali should note that to access the above feature of the new agency dashboard they need to signup first with Google My Business. The above will facilitate and help the agencies to manage all their client accounts more efficiently and easily. The ultimate goal of all digital marketing tools, new technologies and apps is to generate business. Take the expert help of the digital marketing agencies in Borivali to get the maximum benefit and sales. All your digital marketing plans and strategy will take some time to get good results. Patience is required to fetch the desired ROI from investment in digital marketing plans. All the above-mentioned tips are to improve customer experience. A good user experience will be rewarded by the search engines with improvement in website ranking. The SEO company in Borivali will take of all the above fundamental factors important for the ranking of your website. 365 digital marketing is committed to offering its offer its expert SEO services for generating qualified leads, higher page rankings in search engine result pages and a great user experience UX. Our services are Search Engine Optimization (SEO), Search Engine Marketing, Content Writing Services, Email Marketing, Social Media Marketing. We offer affordable digital marketing and SEO packages. Check our plans and pricing for details of services offered. Best digital marketing agencies in Borivali. Yes! get the best digital marketing solutions to market your products in Borivali, Mumbai. digital marketing agencies in Borivali Borivali is a prominent commercial centre and a strategic location. Borivali is a home of many small, medium and commercial offices. The digital marketing agencies in Borivali help these businesses to reach their target audiences across India and overseas. Introduction - Borivali Commercial Infrastructure Borivali is a prominent and vital suburban locality of the Mumbai. Apart from plush residential premises, there are also many small, medium and large size business houses. Due to the evergrowing number of businesses and competition, there is a need for a full-time digital marketer or the services of digital marketing agencies in Borivali. DIGITAL MARKETING TIPS FOR COMPANIES IN BORIVALI 2018 In this blog post, we shall share some digital marketing (SEO) and social media marketing tips to promote your goods & services. Google strategy for digital marketing agencies Google is the most preferred search engine by searchers for any information, product, services or places. The digital marketing agencies in Borivali must have a strong client presence in the Google search engine result pages. GOOGLE TEZ IS NOW GOOGLE PAY AND ITS ADVANTAGES FOR DIGITAL MARKETING AGENCIES As per the report published in The Business Standard on June 23, 2018, the search engine giant Google is planning to enter global e-commerce debut from India market. Google India If the reports are believed to be true it will be a major game changer in the e-commerce sector. google pay logo Why Google Pay? (formerly Tez) and it's digital marketing advantages! The answer is simple. Tez comes straight from the search engine giant Google. They will ensure the product is having all the best of features, reliability and security. Why should we hire a digital marketing agency? As per the Google India Blog post, Tez (now Google Pay) has 22 million users in India. Major highlight of Google Pay is it’s built on BHIM UPI. It allows users to send money to anyone, even if the recipient is on another payments app. digital marketing strategy 2018 Today with search engines such as Google or Bing you can easily search for a product or services nearby your local area or any part of the world easily. The first option is to learn digital marketing yourself, it will require a significant amount of time investment. Second, hire a full time experienced employee. Third, hire the services of digital marketing agencies in Borivali. It is entirely as per your business requirements the option you select. But it is important to have digital marketing plan or strategy for your business.